Hand Weapon. 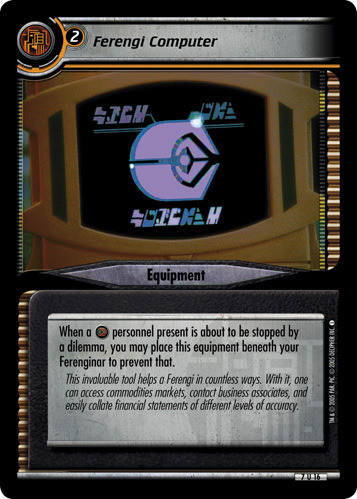 When you play this equipment, place the top card of your deck beneath your Ferenginar. While in combat, each of your personnel present is Strength +1. 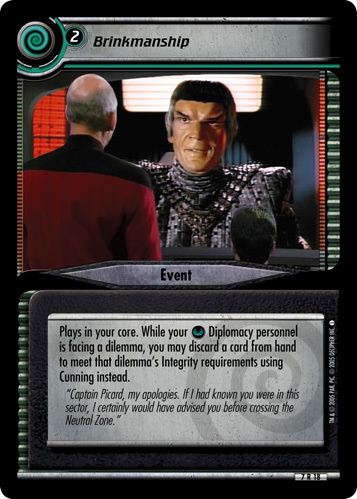 While facing a dilemma, each Treachery personnel present is Strength +1. 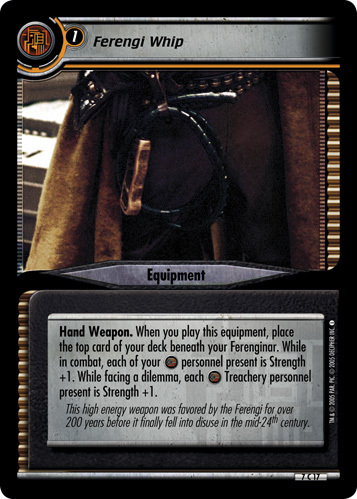 This high energy weapon was favored by the Ferengi for over 200 years before it finally fell into disuse in the mid-24th century.